Public Provident Fund, or PPF, is the most popular retirement savings instrument in India. Its popularity stems from the host of benefits it provides to the investors. Public Provident Fund, or PPF, is the most popular retirement savings instrument in India. Its popularity stems from the host of benefits it provides to the investors. 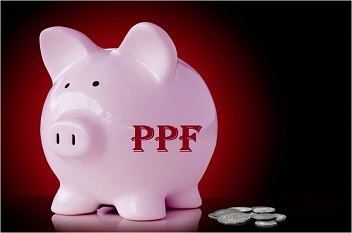 Let us look at the many benefits of the PPF to understand its utility. Safety of capital: PPF is an instrument backed by the Government of India, so the safety of the capital amount is guaranteed. Since PPF has a lock-in period of 15 years, safety and security of investment is the biggest benefit that any long-term instrument can confer. This is also what makes PPF the most popular savings scheme among investors for building up their retirement kitty. Multiple tax benefits: The amount invested in PPF is exempt from tax, the interest earned on the deposit is exempt from tax and the maturity amount at the end of the 15-year tenure is also exempt from tax. This triple tax benefit (Exempt-Exempt-Exempt or E-E-E status) makes PPF an attractive investment instrument from post-tax return point of view too. Flexibility in deposit amount: PPF provides the widest flexibility in the amount that can be deposited in the account, from minimum amount of Rs 500 per annum to maximum amount of Rs 1 lakh per annum. Also, an investor can make up to 12 deposits in a year, in multiples of Rs 5. Due to the lower threshold limit, even a daily wage earner can open a PPF account, while the higher ceiling limit attracts investors belonging to the middle and higher income groups. No other scheme may be offering such a wide range of investment limits. Withdrawal and loan facilities: Although PPF has a 15-year lock-in period, investors can withdraw specified amount after the expiry of five years from the initial date of deposit. However, the amount that can be withdrawn is limited to 50% of the previous year’s balance. However, if an investor does not wish to withdraw, then he can avail loan facility on the PPF account. The loan is repayable within 36 months and the rate of interest on the loan is 2% higher than the prevailing PPF rate. In case the investor still needs to withdraw after availing the loan facility, the loan of amount will be factored when computing the amount that can be withdrawn. Also, one cannot make more than one withdrawal in a year. Extendable tenure: An investor can choose to close the PPF account at the end of 15 years (on maturity) and withdraw the entire amount, or he can choose to extend the account for five years and continue to get the same benefits. Such extension can be done for a period of 5 years at a time, and it can be done indefinitely. So one can continue the PPF account indefinitely.